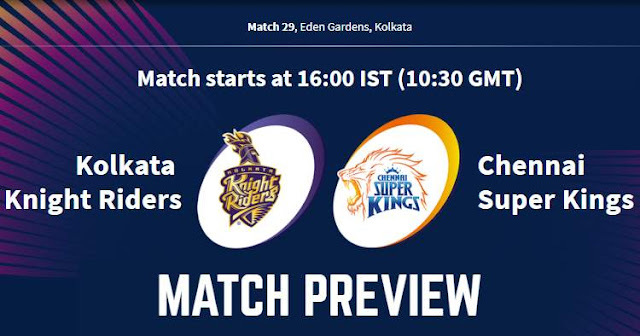 Kolkata Knight Riders (KKR) will take on Chennai Super Kings (CSK) in the 29th match of the 12th season of Indian Premier League - IPL 2019 on 14th April 2019 at Eden Gardens, Kolkata. As far as weather is concerned it will be a very warm and humid day with match hours temperature around 35° and humidity above 60%. This is probably one of the smallest grounds in IPL 2019, 9 runs an over is the average score on this pitch this season. The seamers can bowl around the good length area to make the most out of the conditions. It's a well-grassed track, hence there shouldn't be much spin on offer. Kolkata Knight Riders are second on the points table with 8 points 7 matches just behind Chennai Super Kings. Chennai Super Kings are table topper with 12 points; losing only one match in 7 played. A few of the Kolkata Knight Riders’ players took flu and hence KKR couldn’t play with their first-choice XI in the previous match against Delhi Capitals. Both openers – Chris Lynn and Sunil Narine were ruled out of the last match; Chris Lynn due to flu and Sunil Narine minor hamstring. Though skipper Dinesh Karthik and Andre Russell played through; Dinesh Karthik is also having flu and Andre Russell is hurting from the strain he picked up against Chennai Super Kings in their previous encounter. The only probable change KKR is replacing Lockie Ferguson for Harry Gurney. Probable Playing XI for KKR: Dinesh Karthik (c & wk), Joe Denly, Shubman Gill, RobbieUthappa, Nitish Rana, Andre Russell, Carlos Brathwaite, Piyush Chawla, Kuldeep Yadav, Prasidh Krishna, Harry Gurney. For Chennai Super Kings Scott Kuggeleijn may return for Mitchell Santner. Probable Playing XI for CSK: MS Dhoni (c & wk), Shane Watson, Faf du Plessis, Suresh Raina, Ambati Rayudu, Kedar Jadhav, Ravindra Jadeja, Scott Kuggeleijn, Imran Tahir, Shardul Thakur, Deepak Chahar. Chennai Super Kings (CSK) and Kolkata Knight Riders (KKR) have played 19 matches against each other and one match was abandoned due to rain in Indian Premier League (IPL). Chennai Super Kings had won 12 and Kolkata Knight Riders had won 7 matches of total 19 matches played. Chennai Super Kings and Kolkata Knight Riders have played twice in IPL 2018 and won 1-1 match each at Chennai and Kolkata respectively. In the only match in IPL 2019, Chennai Super Kings beat Kolkata Knight Riders by 7 wickets at home. At Eden Gardens, Kolkata; Chennai Super Kings and Kolkata Knight Riders have played 8 matches against each other and had won 4 matches each..
MS Dhoni needs 61 runs to complete 4000 runs as captain in the IPL. 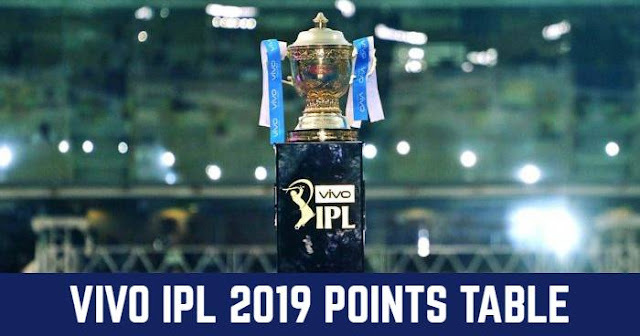 The Kolkata Knight Riders’ scoring rate of 9.18 is the best among all teams in VIVO IPL 2019, while Chennai Super Kings’scoring rate of 7.09 is the lowest. CSK’s overall bowling economy rate of 6.93 is the best team economy rate in IPL 2019. Kolkata Knight Riders have taken 25 wickets in IPL 2019 which is the fewest wickets in IPL 2019 by a team, while Chennai Super Kings have taken 50 wickets which is the most wickets in IPL 2019 by a team.